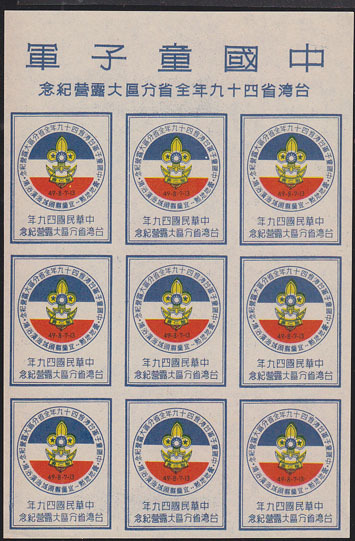 17030 LOC CHINA (TAIWAN) (1954) Scout emblem*. Full sheet of 9 labels for Scout Week. 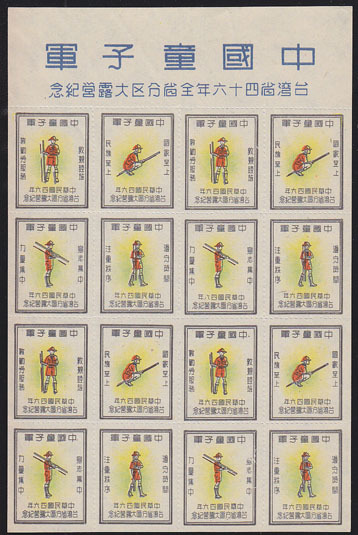 17031 LOC CHINA (TAIWAN) (1954) Scouts*. Full sheet of 16 labels for Scout Week. 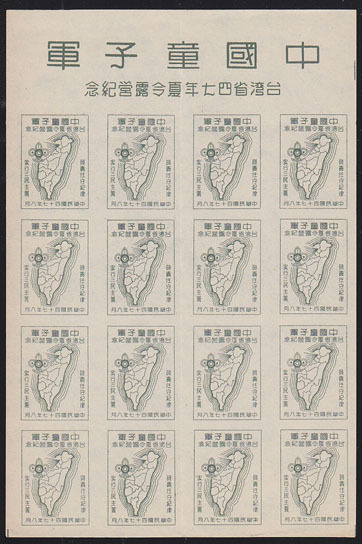 17032 LOC CHINA (TAIWAN) (1954) Map of Taiwan*. Full sheet of 16 labels for Scout Week.